Our full stave Prime Oak upstands are made of the same quality oak staves as our excellent full stave Prime Oak worktops, which run the full length of the upstand and provide an elegant and efficient alternative to tiling down to the worktop surface - the perfect finishing touch for wooden worktop installations. These worktop upstands help full stave Prime Oak worktops blend into the overall kitchen design whilst also hiding the small 5mm expansion gap between the worktop and an adjacent wall, which is required when installing solid wood worktops. These kitchen worktop upstands are also essential when fitting timber worktops against uneven walls, as they hide any small gaps that would otherwise become apparent. 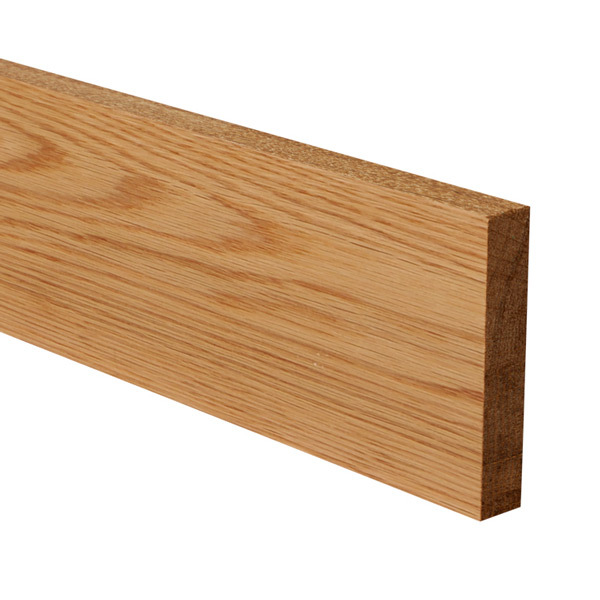 Whilst other upstands may come in a restrictive range of specific finishes, our full stave Prime Oak upstands are supplied perfectly square and can therefore be immediately fitted to create a square-edged chunky look, or can alternatively be given a variety of edge profiles to fit in with your kitchen's design.